The Family Law Center is dedicated to providing programming that expands students’ substantive knowledge and deepens their understanding of the field and practice of family law. Each year the Center attracts nationally recognized speakers and presenters for its symposium or distinguished lecture series on a current topic in family law. The Center also hosts a monthly Lunch & Learn series for students and the family law community to learn about best practices as well as new and emerging topics within family law. At these Lunch & Learns, students can connect and speak with leading family law practitioners from both the public and private sectors about the practice of family law. Through a partnership with the Domestic Violence Legal Clinic (DVLC), DePaul law students volunteer at DVLC’s Emergency Order of Protection Clinic to assist petitioners seeking Emergency Orders of Protection in Cook County's Domestic Violence Court. 45 students volunteered with this Clinic in 2017. During that year, the Clinic worked on 733 cases for clients seeking Emergency Orders of Protection. Of these 733 cases, 621 or 85% received Emergency Orders of Protection. Along with the Pro Bono & Community Service Initiative and the Center for Public Interest Law, the Family Law Center recruits students for this meaningful pro bono project. Students from the College of Law’s Domestic Violence Practicum course also volunteer with this Clinic. Additionally, the Family Law Center funded two law student interns at DVLC in summer 2018 through the assistance of a grant. 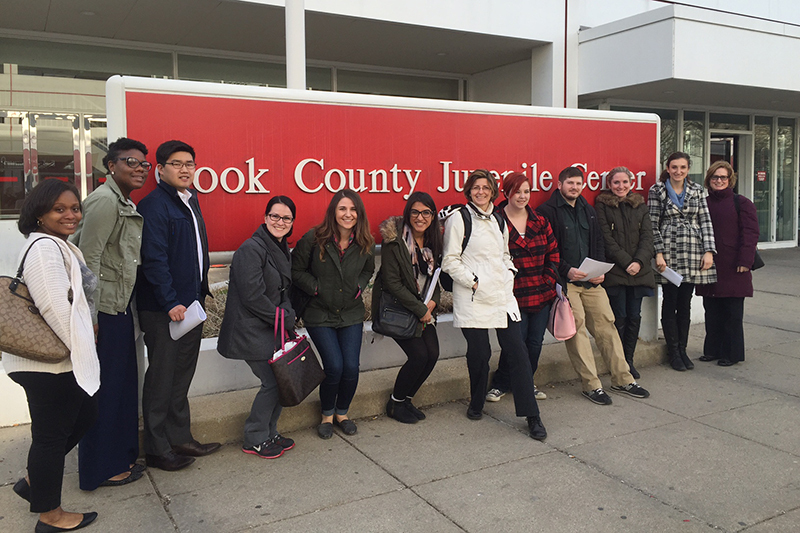 During spring break 2018, 17 law student volunteers lead workshops at the Cook County Juvenile Temporary Detention Center on topics such as juvenile expungement, street law/know your rights and civics. In addition to leading workshops, volunteers meet with a juvenile court judge, attorneys from the Public Defender's and States Attorney's Offices, and Probation Officers to gain a better understanding of juvenile justice issues. They also reflect on their experiences throughout the week. The Child and Family Law Association (“CFLA”) offers DePaul law students a student-run organization to explore the field of family law. 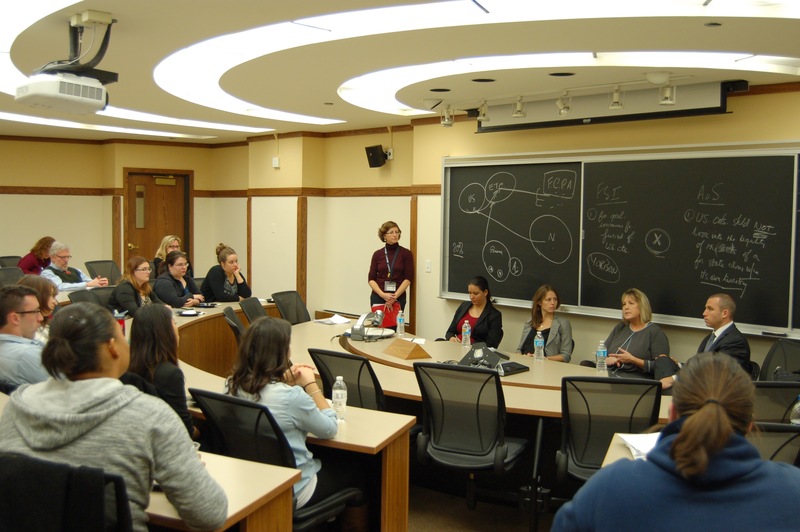 The CFLA achieves this by working with the DePaul Family Law Center to host networking events, speaker panels, and utilize community and alumni connections for externship and clerkship opportunities. The CFLA also strives to keep law students abreast of the rapidly evolving legal field that is family law. Each fall, the Family Law Center partners with the student-run Child and Family Law Association to host a family law attorney speed networking event. This event gives students an opportunity to meet and speak with a variety of family law attorneys from Chicagoland firms and agencies over the course of the evening. Students make important connections while having a great time with their peers and family law alumni.